When it comes to Christmas, many colors pop up in our head. There is beautiful blue, soft gold, raging red, brilliant blue and many others. There is mistletoe, cakes, cookies, bells, lights and so much more that makes even the darkest of nights the brightest. 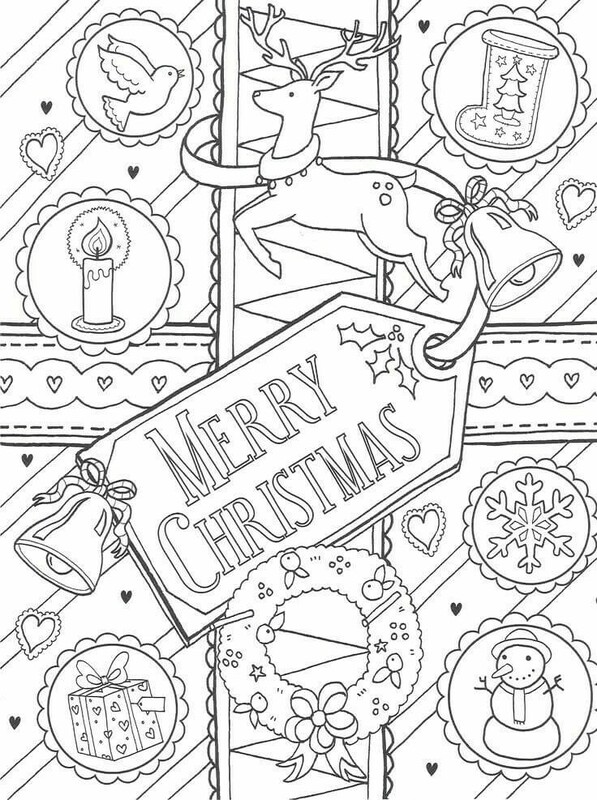 Here are 40 Christmas coloring pages where you can celebrate the Christmas spirit with crayons and paint. So what are you waiting for? 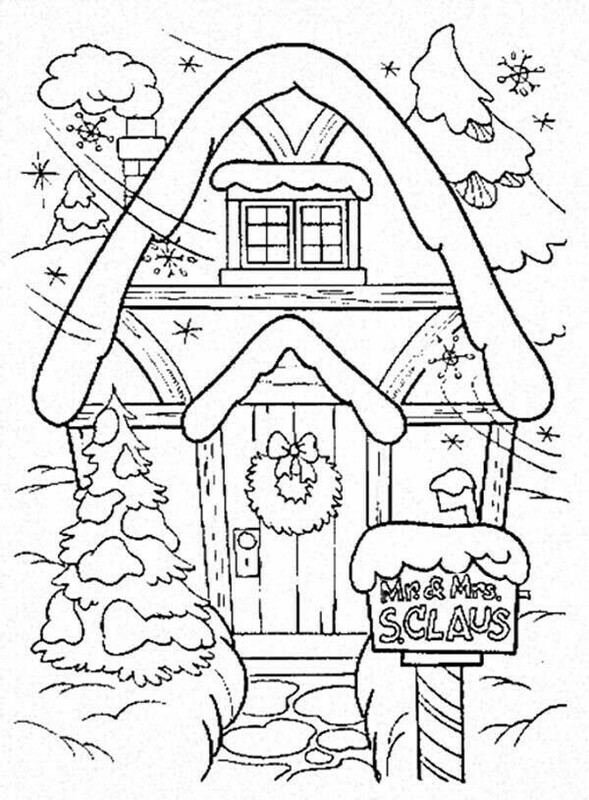 Check out our special Christmas coloring sheets right away. 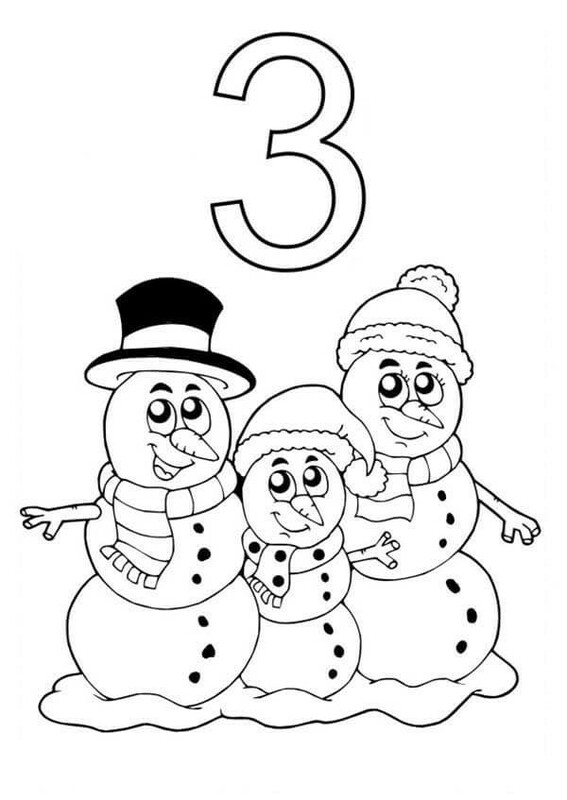 These three snowmen has come to wish you a very merry Christmas. They are dressed very warmly in those colorful woolen scarfs and hats. They also brought the Christmas decorations to give you as gifts. Winnie-the-Pooh and Piggy just came from an early Christmas shopping. They wanted to complete buying gifts for their family and friends before the Christmas rush starts. The lady is ready for the Christmas. She took out all her Christmas decorations from last year. She had them packed up nicely in boxes in her attic. She cleaned them and fixed them to be ready for this year. Last night when you were hanging the sock filled with sweets for Santa on the mantle, there was a little hungry mouse watching you. After you went to sleep, he quietly came out of his hiding place, climbed up and entered into the sock. The colorful twinkle lights are the best way to decorate your house for Christmas. These lights will guide Santa to your house to deliver your gifts. He will be happy to see that you hung lights to wish him Merry Christmas. 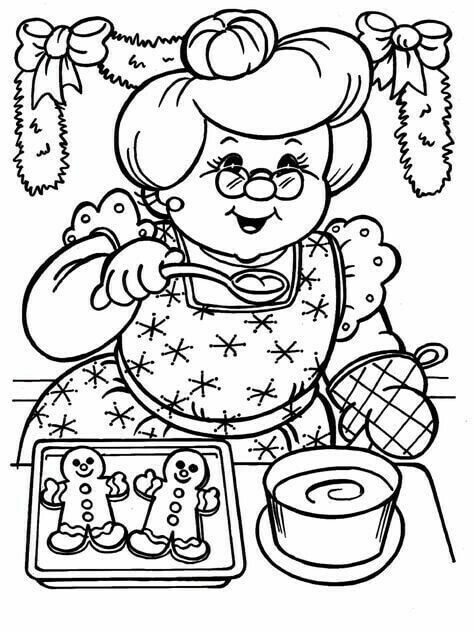 The granny is baking Christmas special and yummy gingerbread cookies this evening. She wants to complete her baking before the Christmas Eve, so that she can enjoy the evening with her loved ones. Mickey wanted to grab the best Christmas tree for his playhouse. He dressed up warmly in a yellow woolen sweater, blue gloves, and winter boots. He also wore a red hat with white pompom. He walked through the heavy snow with his sled to choose the best tree. 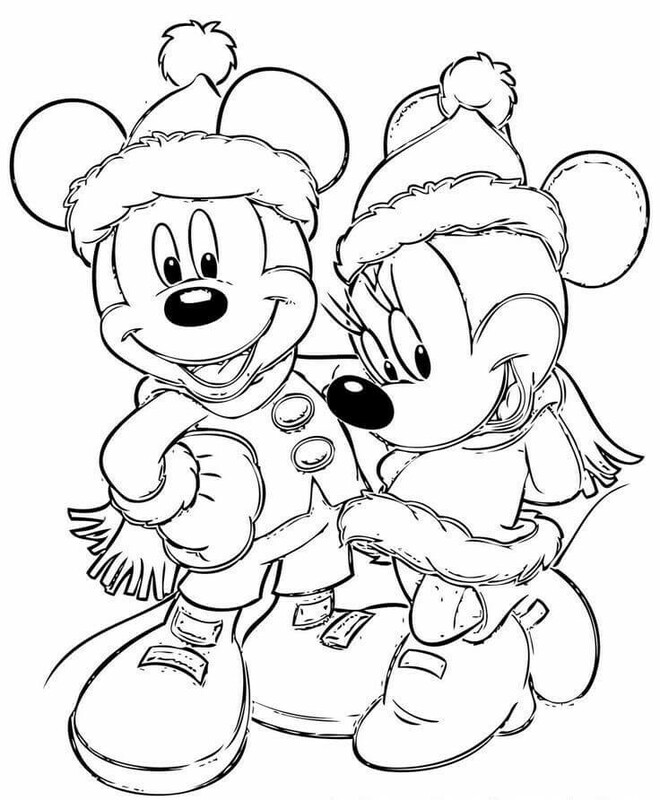 Mickey and Minnie Mouse are going for an early Christmas shopping. The snowfall is very heavy outside, so they dressed up to keep themselves warm in the cold weather. 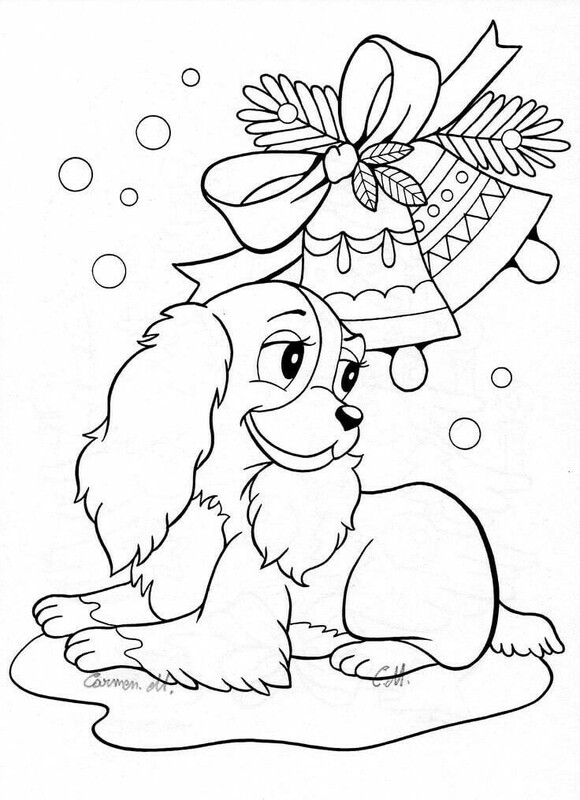 Minnie is wearing a cute woolen green dress, red hat with white pompoms, blue scarf and brown winter boots. Mickey chose to wear a red coat with black pants and similar hat and boots as Minnie. His name is Roger. 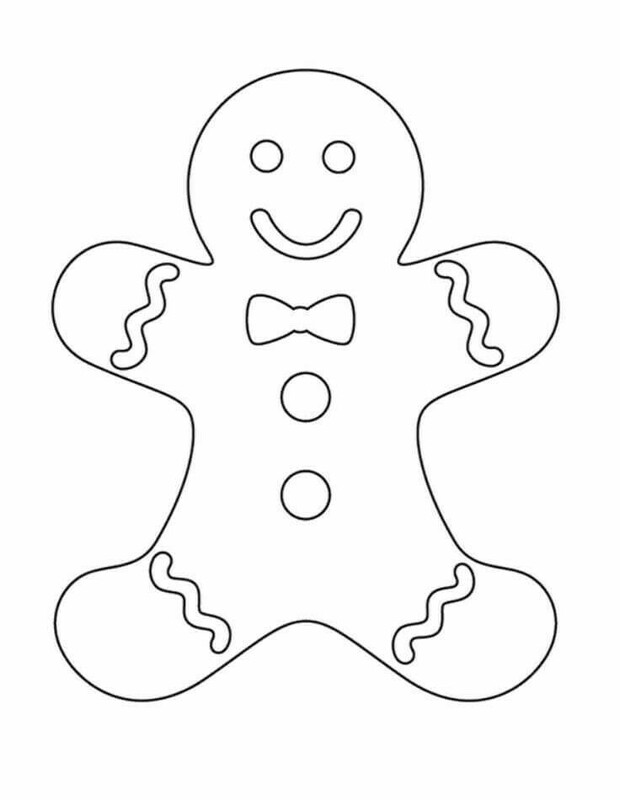 He is a gingerbread cookie. He forgot his colors at home in a rush to meet you. He wants to wish you merry Christmas. 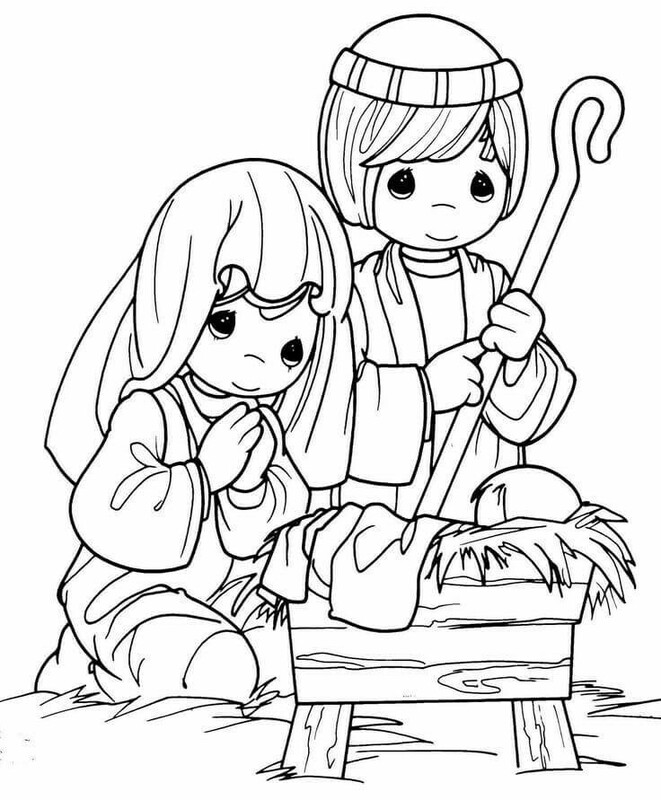 Will you fill him with colors so that he could go and wish other children as well? This cute little angel comes to earth on every Christmas Eve to bless the people with happiness. She goes from one home to another in search of good people to give them the gift of happiness. 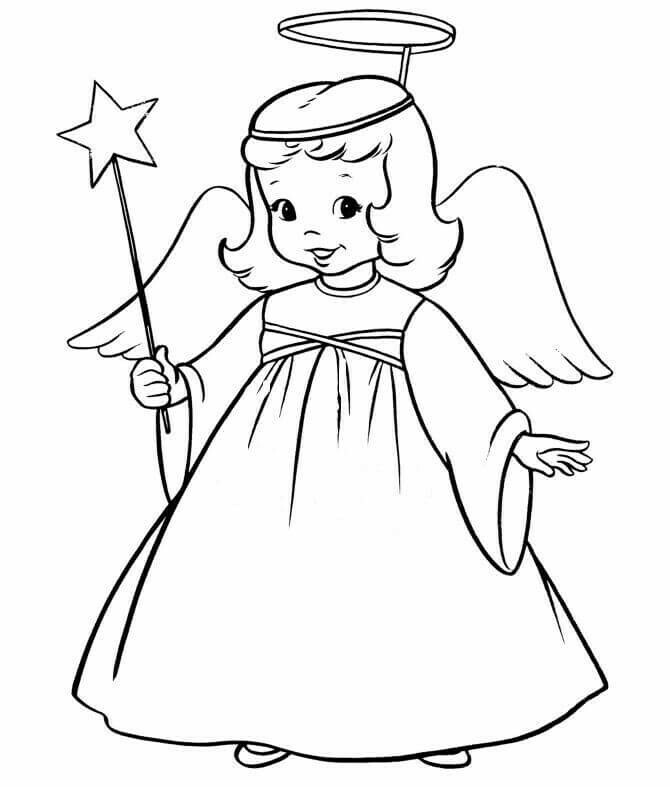 She is wearing a pink dress and have a magical silver wand. She has soft blue feathers on her back. 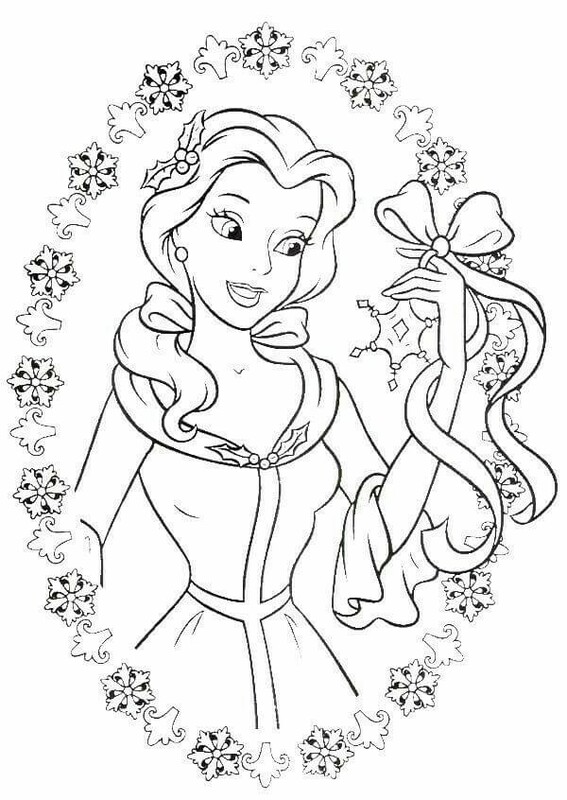 Will you color her up to make her happy as well? Ben was adopted this year just before Christmas. He was separated from his family when he was very small. He lived in an alley before he was adopted by the Tennyson family. This is his first Christmas. He is wearing a Santa hat with a scarf to keep him warm. Oh, and he received a few gifts as well. 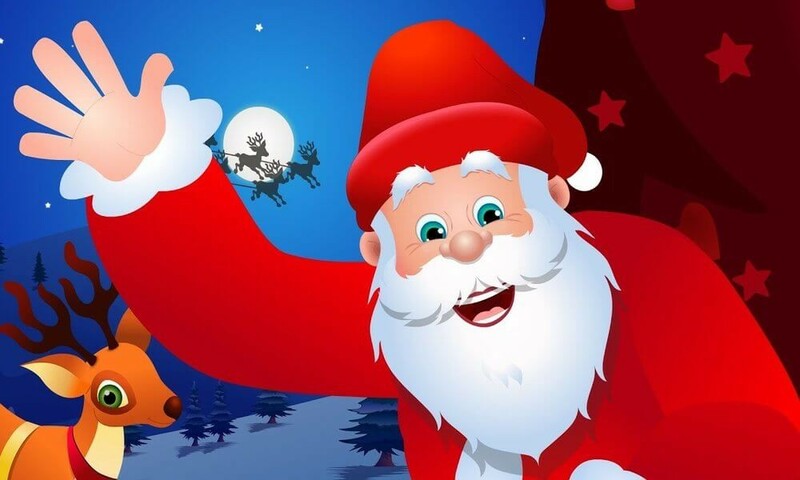 With a sack full of toys and so many other gifts, Santa Claus has come to deliver happiness. He rides a magical sled that is pulled by two flying reindeers. He makes his way to people’s home through the colorful and shiny starts. He travels throughout the night so that you can wake up to beautiful gifts carefully kept in your sock. 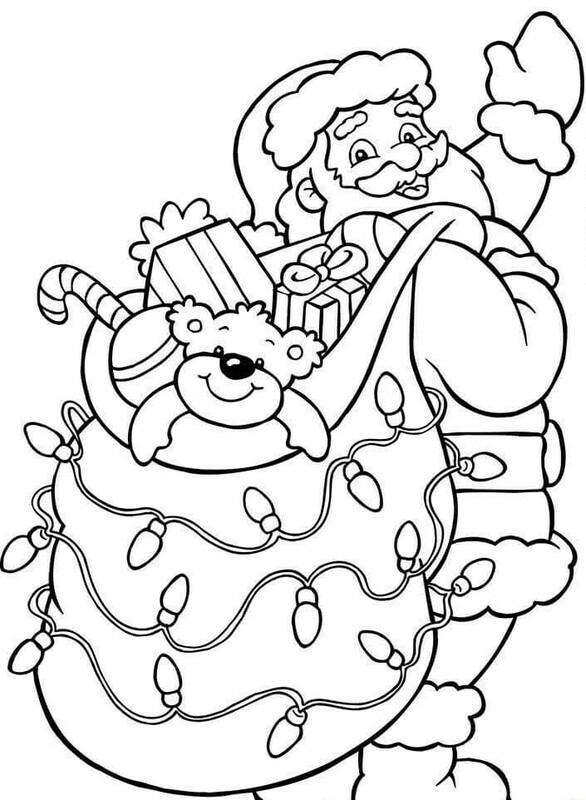 Thank Santa Claus by coloring him in beautiful colors. 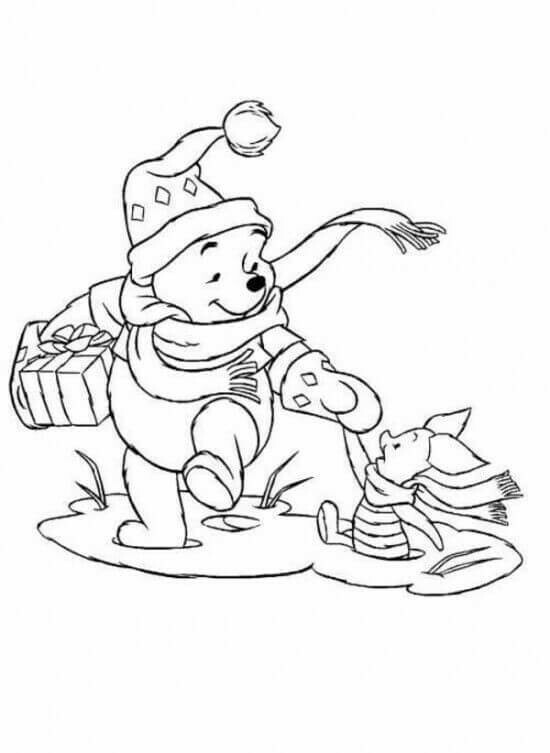 Pooh is the Santa for all his friends. He gives them the happiest memories, and they have so much fun together. Pooh looks very cute dressed up as Santa. He is wearing a red t-shirt and hat with white pompoms. Santa is packing his sack of delivery before he could leave his home in the North Pole. He is checking the toys and sweets he has packed according to a list. He needs to deliver this to children all over the world in one night. He doesn’t want to forget anything so that everyone can be happy. 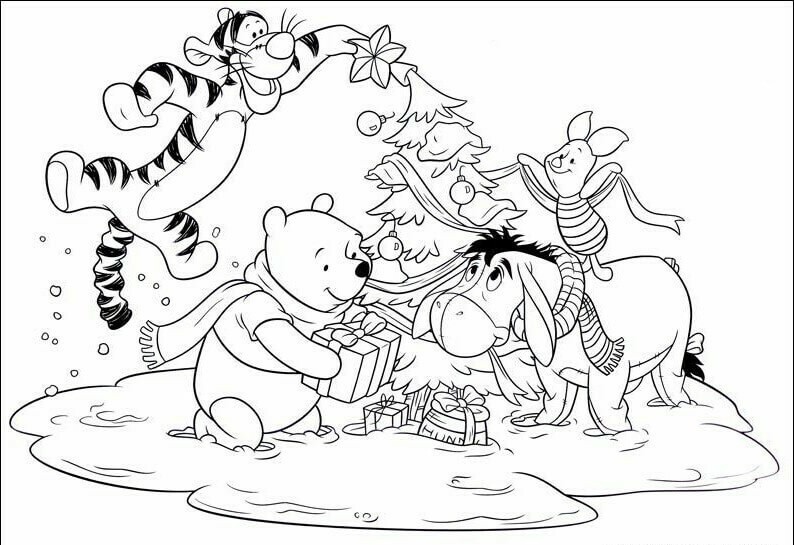 Winnie the Pooh and his friends are exchanging the gifts on the morning after Christmas Eve. Tigger is having a lot of fun with the snow covered Christmas tree, and so is Piggy. It looks like pooh also received a big yellow jar of honey. 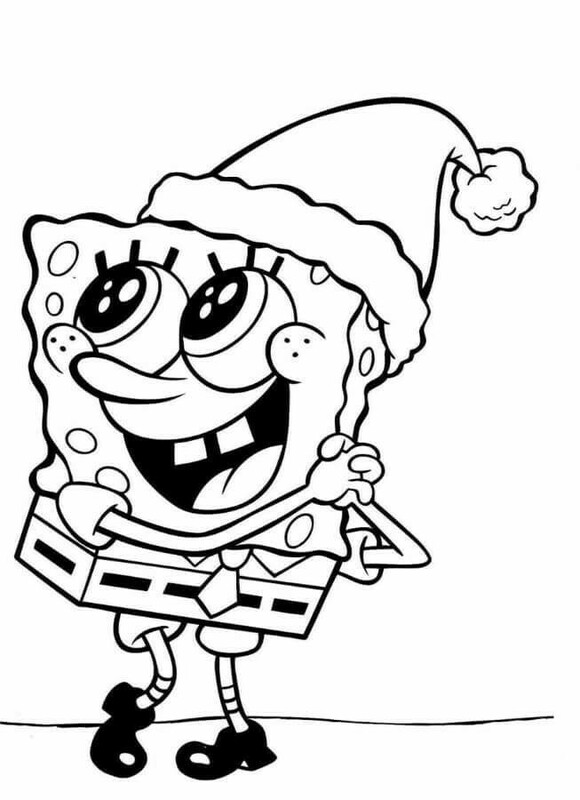 Spongebob Squarepants looks very happy. Santa has completed his wish by giving him a fountain that creates bubbles all the time. When he woke up this morning, he was very surprised to see all the bubbles floating outside his window. He came running outside to check, and the fountain made him very grateful to Santa. Santa has checked his list and packed all the toys for children. After checking he loaded the bag on his shoulders so that he can keep it in his magical sled. His bag is decorated with colorful twinkling lights. 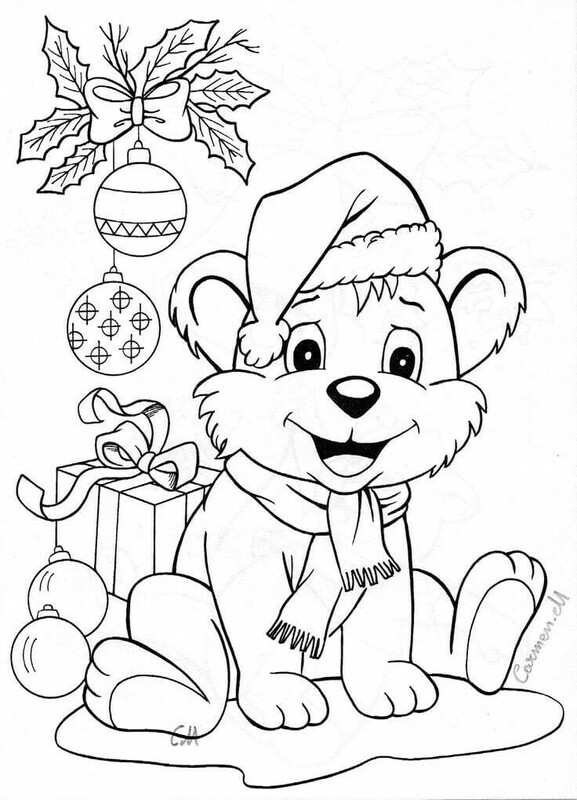 Dora asked for a cute little teddy bear as a friend from Santa Claus. She hung a colorful sock last night that was full of candies for Santa. 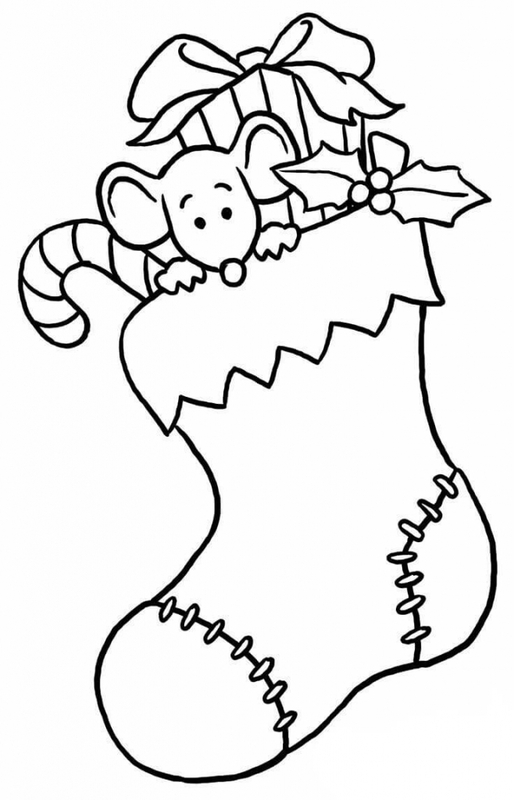 In the morning when she woke up, she found Tom in her sock who wished her a very merry Christmas. 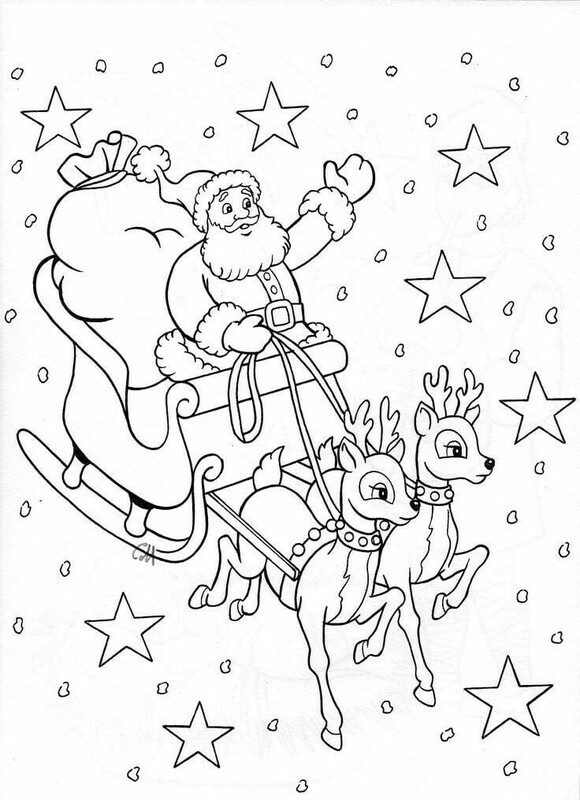 Rudolph the reindeer is Santa’s most loyal and favourite reindeer. He loves the colourful twinkling Christmas lights. He was playing with Santa’s spare ones when it got entangled in his horns. 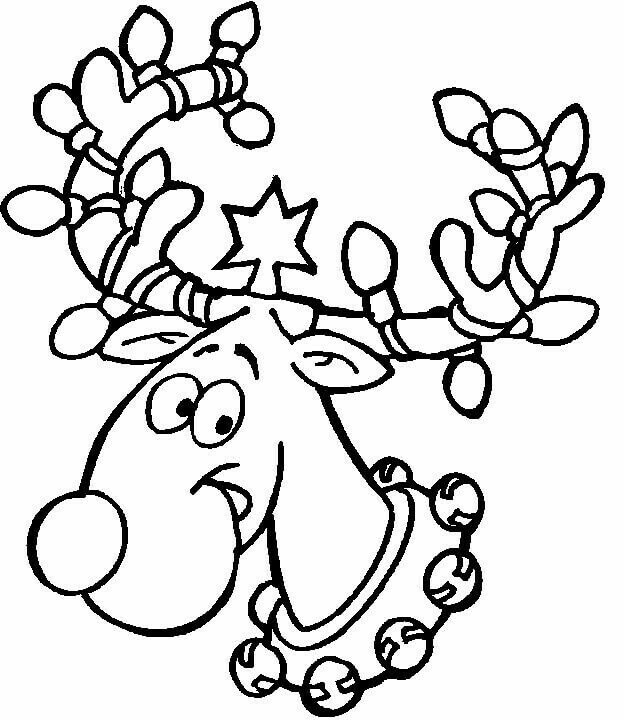 Will you turn the switch on to colour Rudolph up? Jesus was born on Christmas day in Jerusalem. He was surrounded by the shepherds when he was born. The angels came down from the heaven to meet and bless the little baby Jesus in the small makeshift hut. Mister and missus Santa Claus lives in North Pole. Their home is usually covered with snow throughout the year. They have a cute small letterbox outside their home to receive the letters from the children requesting the toys and other gifts. Santa Claus loves to dance and make people merry. He finished delivering the gifts to everyone in the world and now he is celebrating that with nice music and dance. He also keeps eating the sweet candy cane. While Tigger was decorating his Christmas tree, he also decorated himself. He decorated the leaves and the branches as horns on his head and decided to show it to his friends. 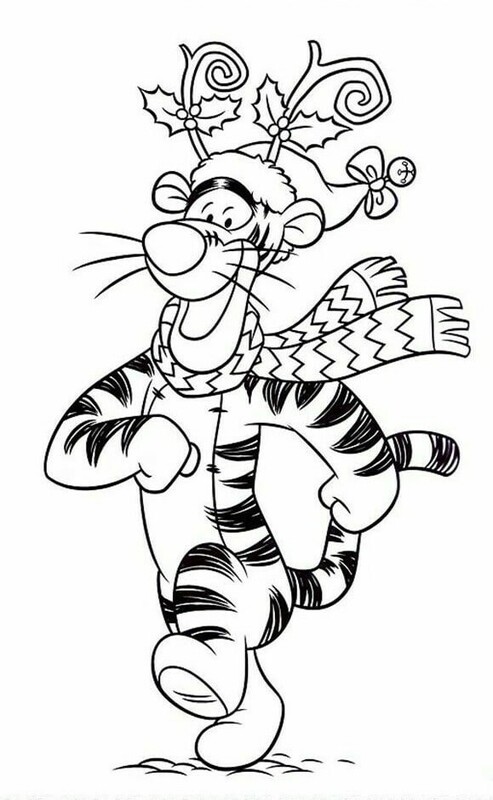 As it is cold outside, he wore the scarf and danced all the way to his friend’s home. Merry Christmas is full of the symbols that tells us that it’s Christmas. This Christmas greeting card is full of those symbols. 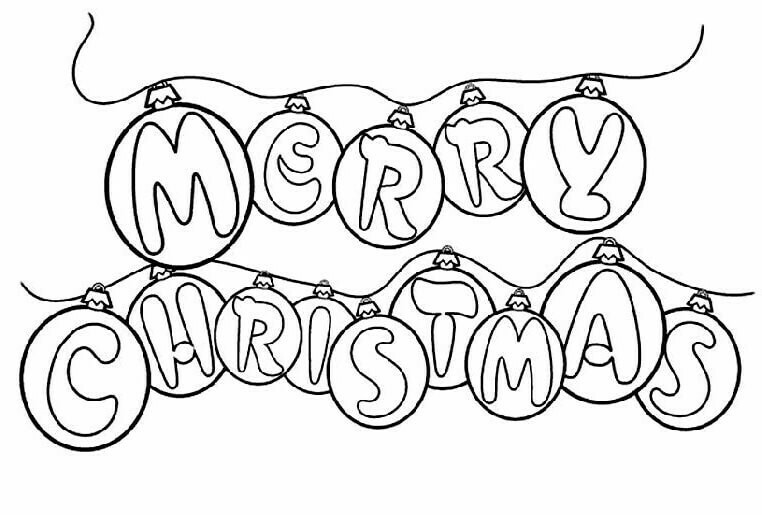 You can colour this card with crayons, paint and glitters to give it to friends and family. 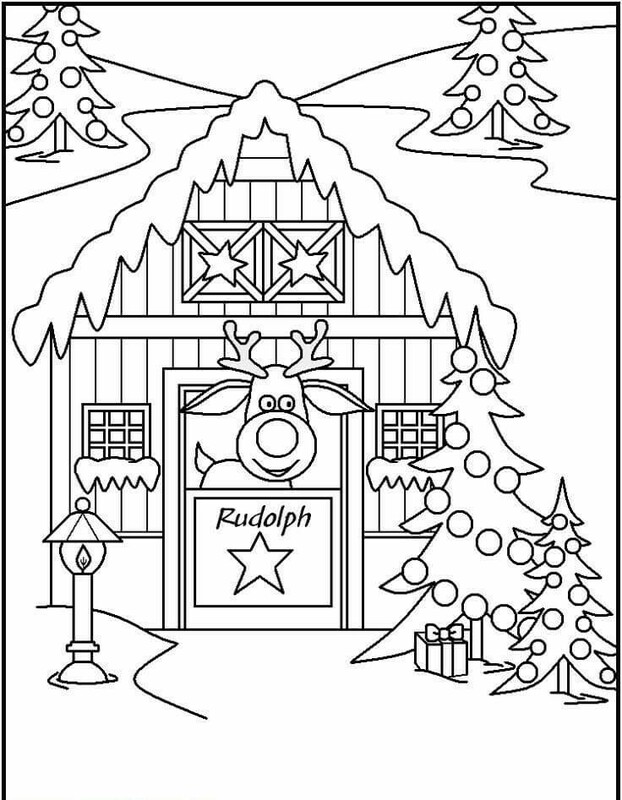 This is Rudolph the reindeer is hiding in his home. He is being very naughty and hiding from Missus Santa in their home. He needs to be bathed and cleaned before Santa can take him to deliver the gifts everywhere. But he thinks otherwise and is refusing to take a bath. 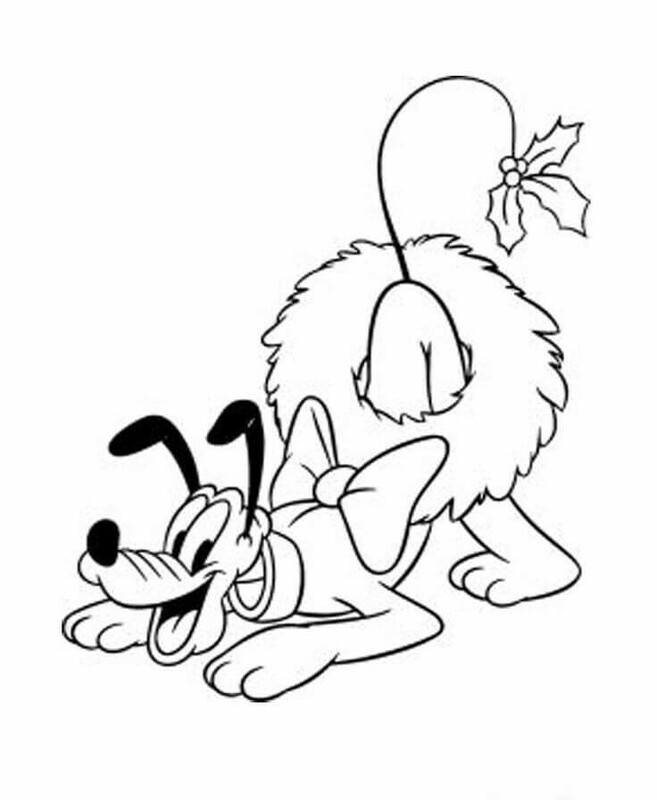 Pluto is a fun-loving dog who loves to play all the time. 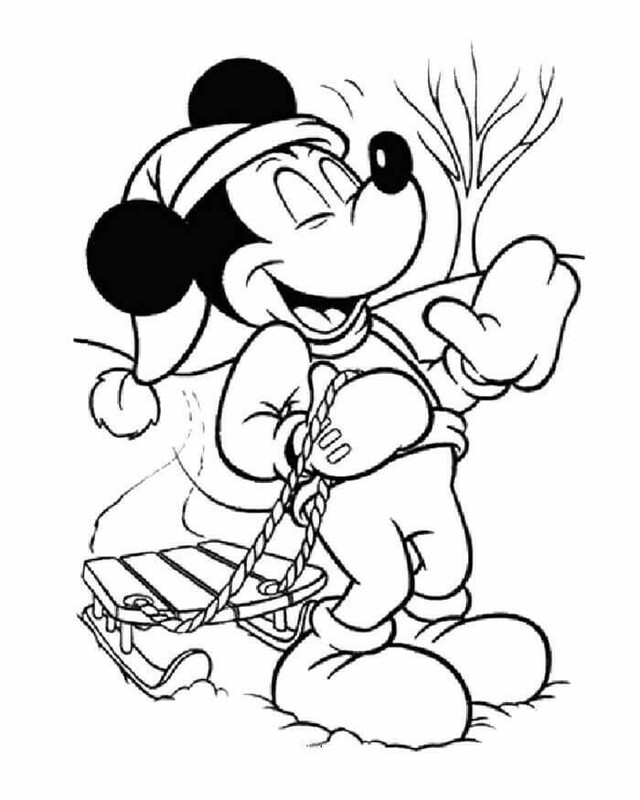 Is playing with Mickey’s Christmas decorations this time. It got entangled in his tail but he looks very happy. 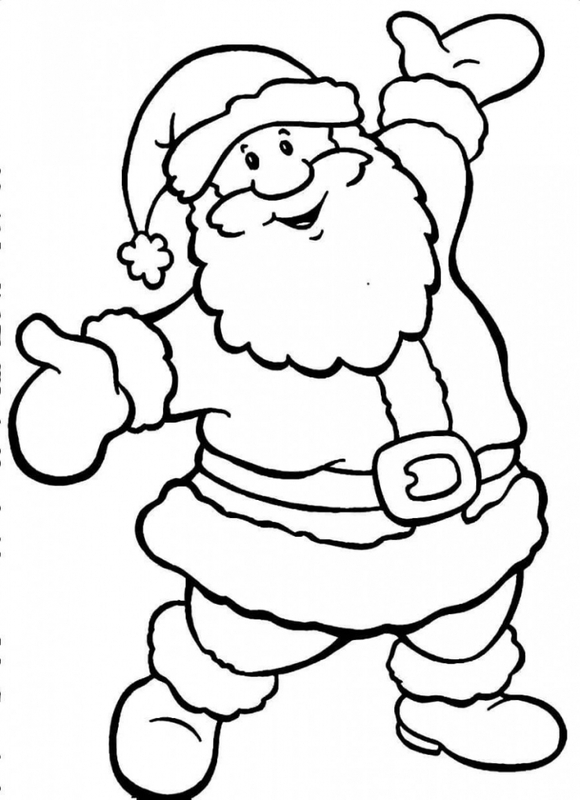 Can you colour him to make him look more Christmassy. He had been a very good boy this whole year. 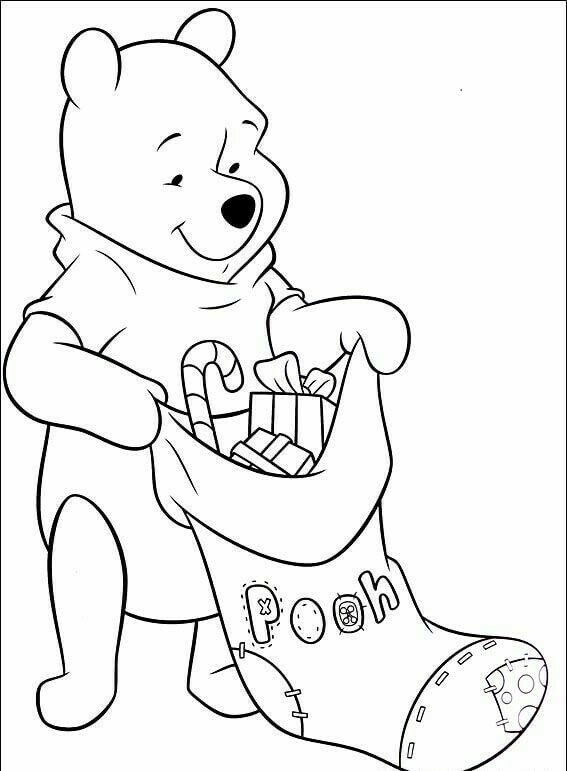 Pooh received many toys and candies in his sock from Santa Claus. 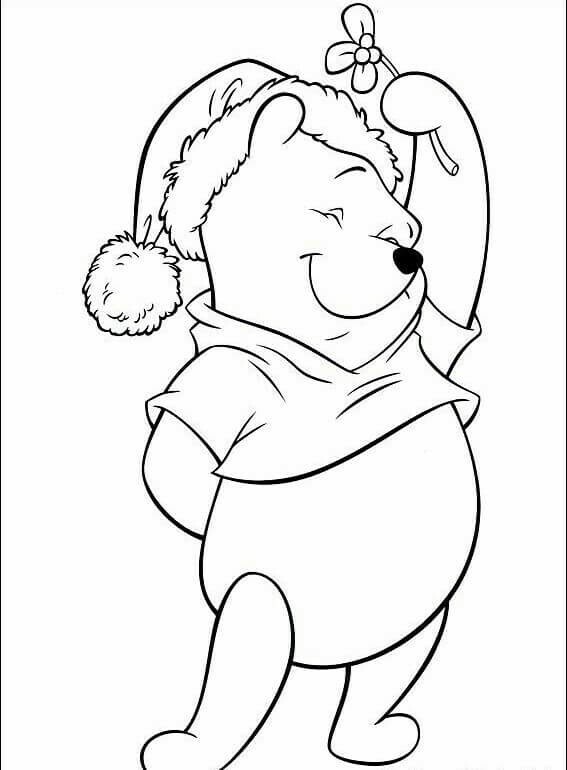 He had written his name on the sock so that Santa knows that which one is Pooh’s sock. 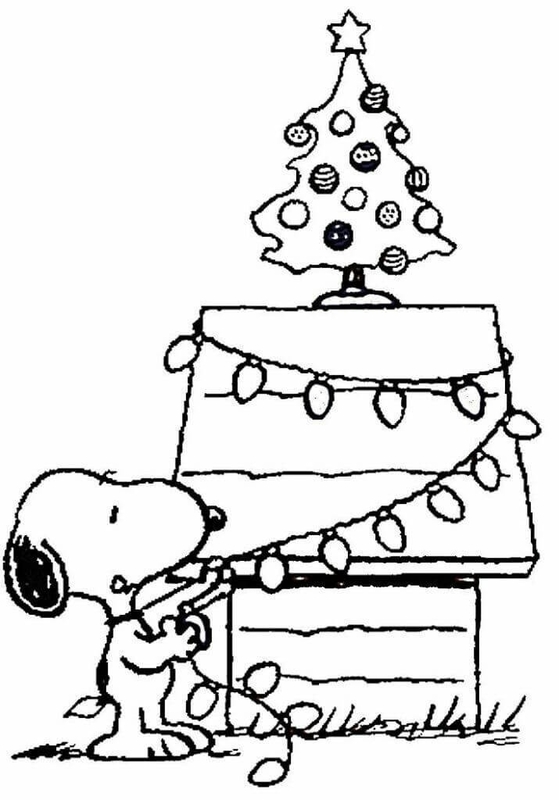 Snoopy is decorating his dog-house for this year’s Christmas. He bought new colourful twinkle lights and is hanging them on the roof of his home. He also bought a small Christmas tree for himself. When baby Jesus was born, many angels came down from heaven to see and bless him. He is surrounded by the angles and the baby lambs from the stable. He is sleeping very peacefully while everyone is very happy to see him in this world. She is Fiona. She loves to play with balls. She found big Christmas lights near the Christmas tree while the family was busy in the kitchen making Christmas treats and cake. She thinks that the lights are balls. 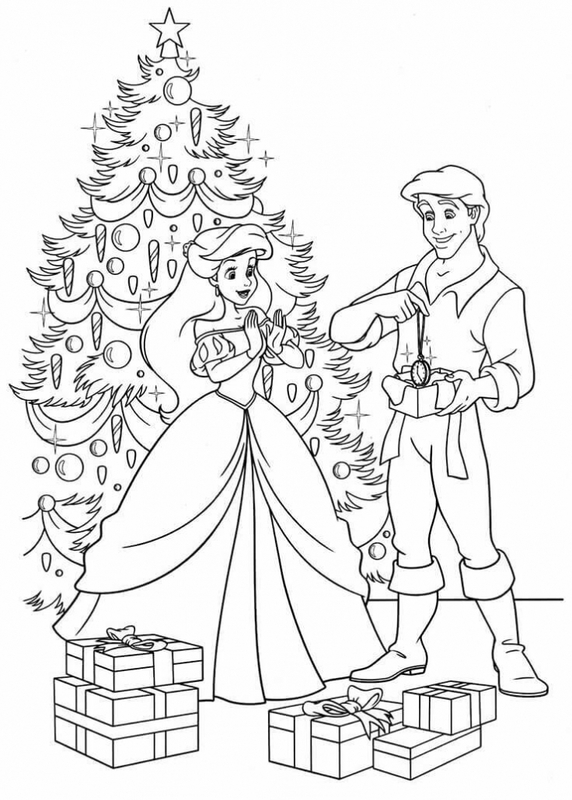 Can you colour the lights up and make them really shiny so that she understands that those are not balls? 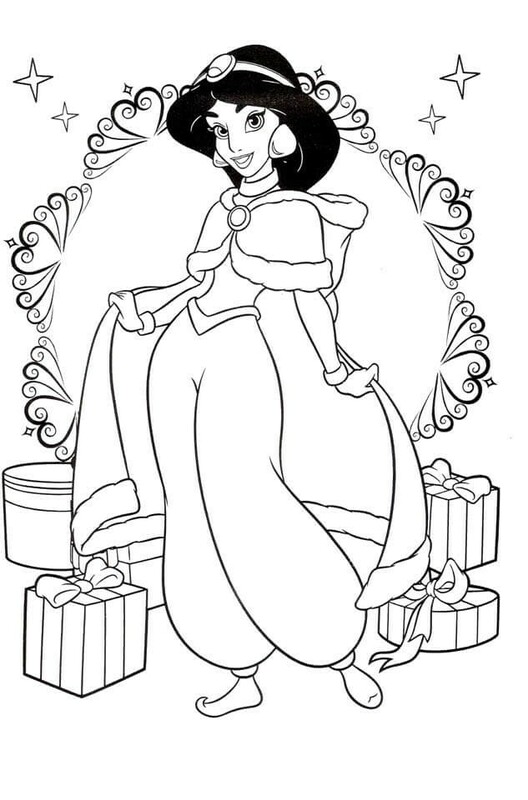 Aladdin have something special for princess jasmine on this Christmas. He told her about a very special gift he would be giving her this year. She is very excited to unwrap her present. 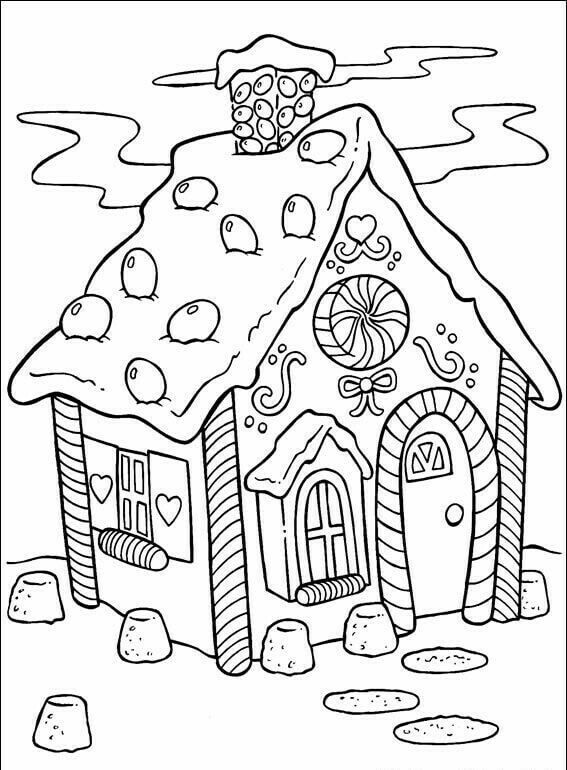 Who doesn’t loves candy houses! The sweet candy canes and the colourful small candies making the house beautiful and tasty. There are lollipops as well. There is a chimney made up of candies. The snow is made up of soft white cotton candy. Oh, and don’t forget the small marshmallows as stones. 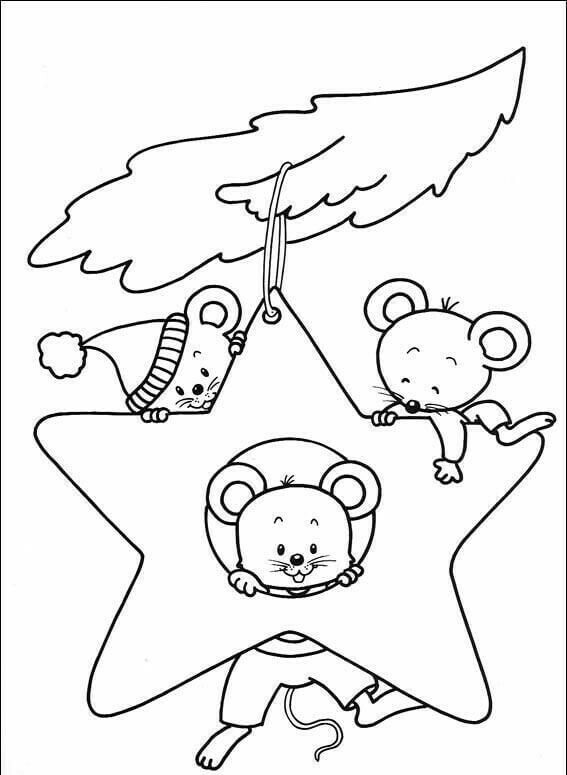 The mouse family is hanging by the Christmas star you hung on the tree. They love to swing and it is too snowy to go outside. So they decided to swing by the star you hung. They are wearing cute red and white hats and blue pants. Ariel went for an early Christmas shopping as she wanted to buy something special for her prince. Eric loves the gifts from Ariel. She surprises him the most amazing ways. This year she has wrapped a small coral figurine of both of them. She is very excited to see Eric’s reaction to her gift. Belle has always been fascinated by the stories of the birth of Jesus and his sayings. But while reading a book in her very big library, she came across the magical powers of snowflakes during Christmas. Since then she keeps checking the snowflakes for any kind of magic. 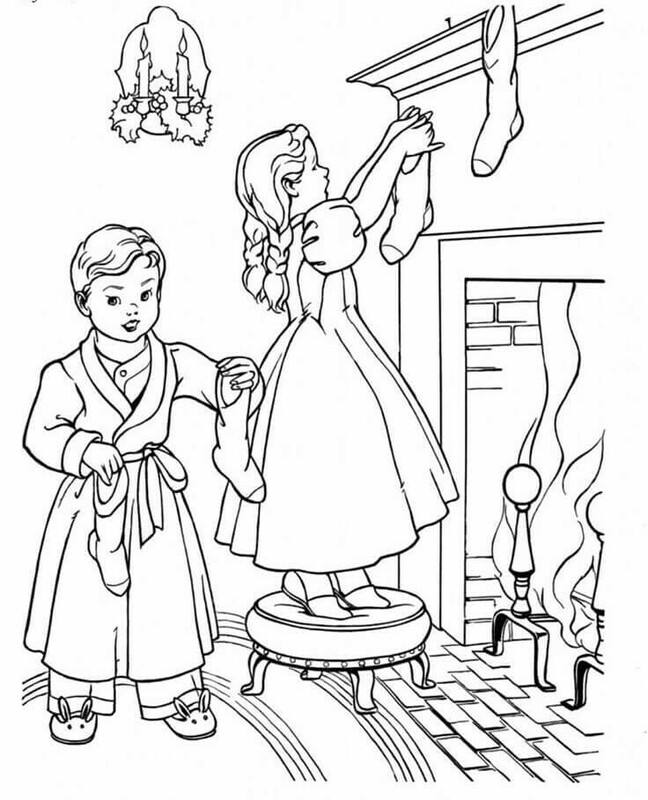 The two children are hanging up their stockings to be filled with gifts just before the morning of Christmas. Just before they go to bed, they filled the stockings with candies and sweets for Santa. They have to hang it carefully so that it doesn’t falls off. Everyone wants to receive gifts from Santa Claus. He can only notice the homes with children if they are colourfully decorated with lights. It helps him to guide through homes and chimneys when it is very dark at night. 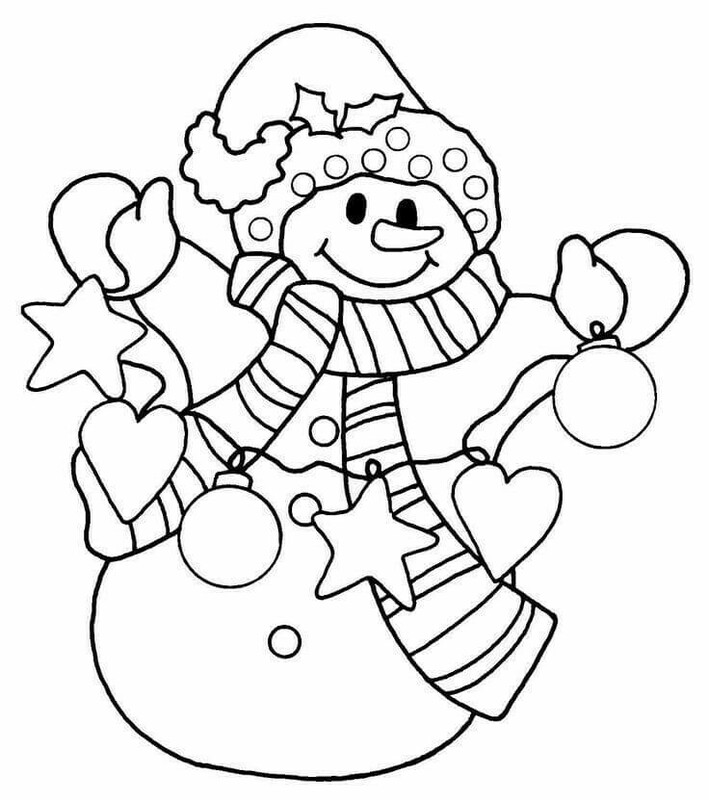 This snowman was decorated in colourful lights for Santa to see. The lady is a gift for her family. She spreads happiness among them and make them smile when they are sad. She surprised her family by coming out of the gift box when they were unwrapping their presents. They were happy to see her and so was she. Do you know what happens in North Pole? 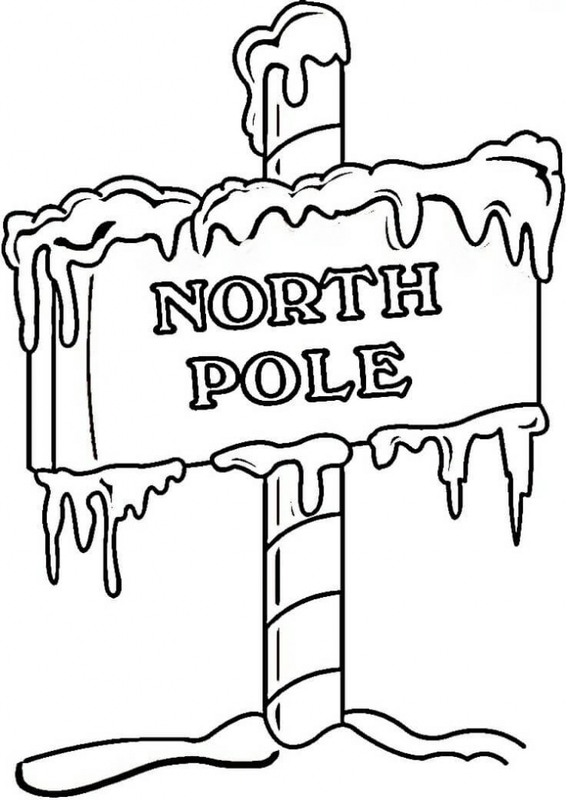 North Pole is home to Santa Claus and his reindeers. They live there the whole year and collect and wrap the gifts for Christmas. They take all the donated and discarded gifts, repair them, colour them and give them to those who needs. This is the entry point of the North Pole. 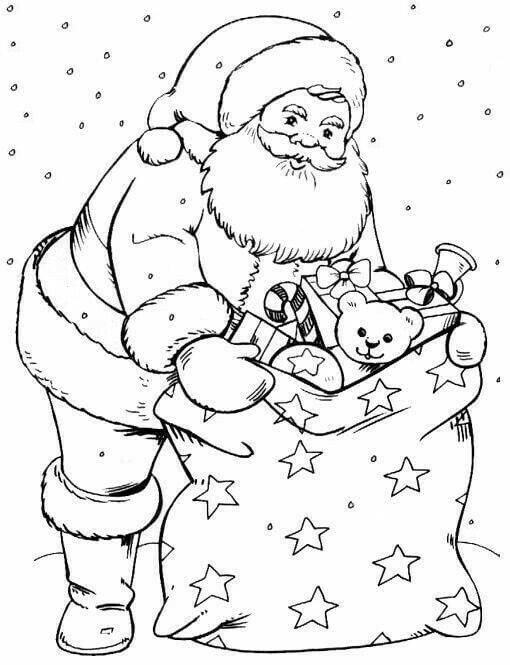 Colour it and you can meet the Santa Claus. Charlie wanted just a small tree for his room this Christmas. His parents granted his wish and brought the smallest tree they could find. They also decorated it with Christmas decorations. But the tree us too small to carry the heavy decorations and it bent down. 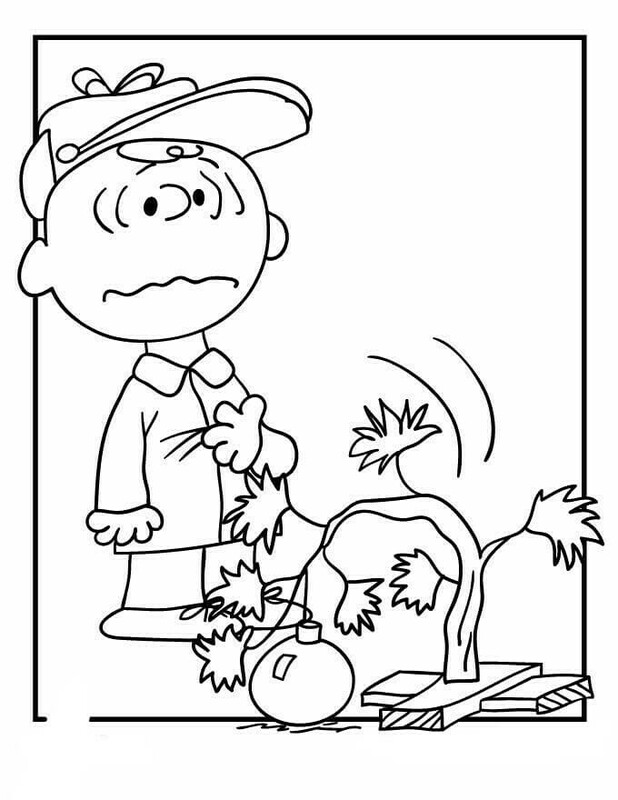 Charlie doesn’t looks very happy. 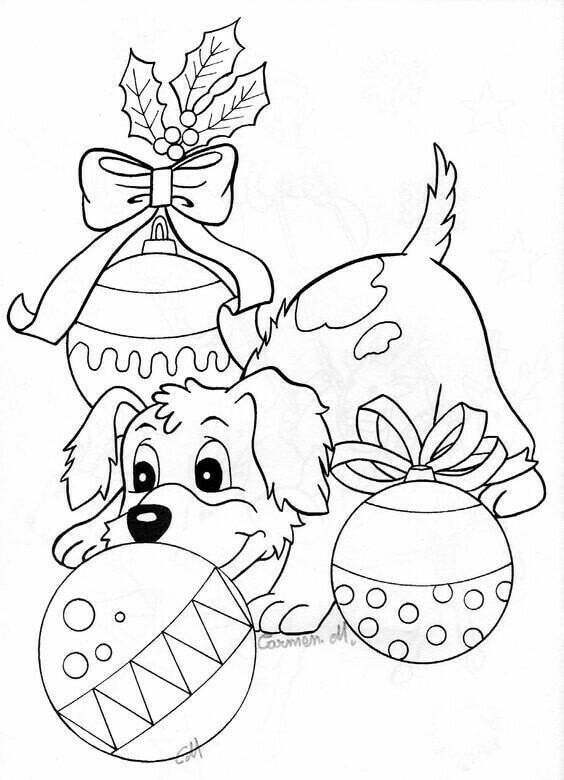 This was our compilation of Christmas coloring pages for you! We hope you guys liked it. 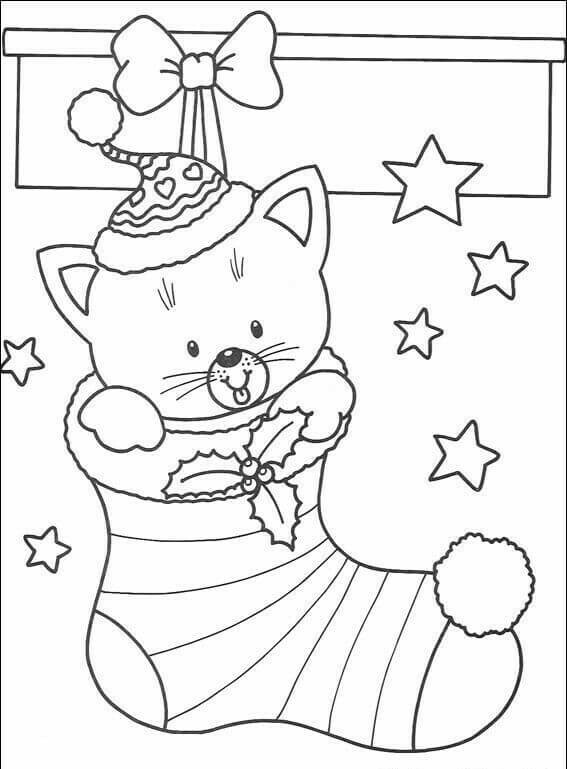 If you do, then don’t forget to print and color our Christmas coloring pages! 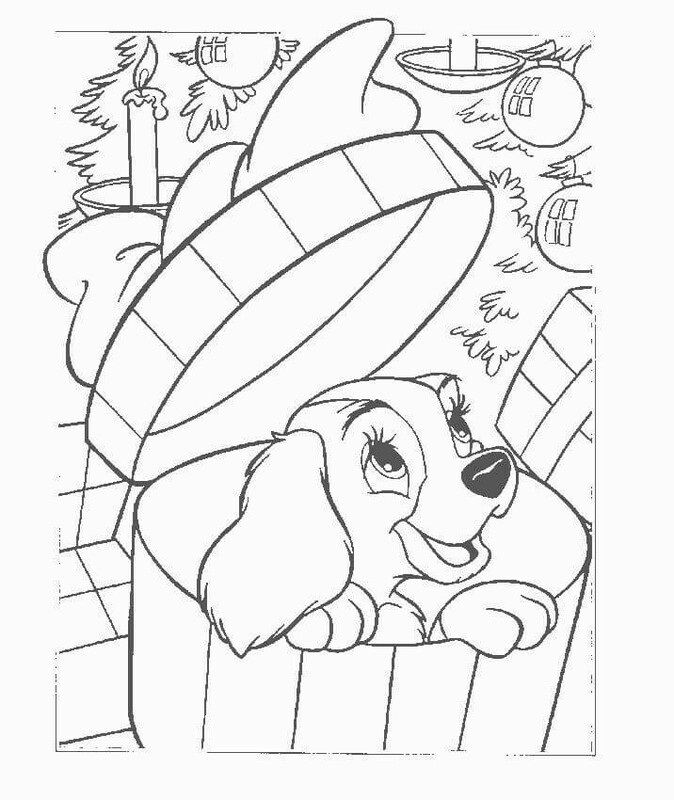 For more amazing coloring pages like Halloween coloring pages, keep yourself hooked with us.